Angel is a very energetic, proficient and forward-thinking Coach who specialises on coaching organisations throughout their Agile journeys. His pragmatism and experience in Organisational Coaching and Business Agility are the driving forces behind his perceptive methods of action. As an insightful coach, trainer, and mentor, he’s helped to constructively and successfully improve quality standards, product/service delivery, continuous improvement and innovation capabilities in a diverse set of companies, from small startups to fortune 500 multinational organisations. Angel’s ability to empower leadership, influence organisational culture, unleash value creation and process improvement is recognised worldwide. Throughout his 11+ years of hands-on experience in Agile coaching, Angel has provided expert guiding to achieve remarkable growth for organisations and agile professionals from more than 25 countries in North America, South America, Europe and Asia. Angel’s contribution has been specially noticeable in ING, King, Banco de Chile, Falabella, Toyota, Sunhotels and Lietuvos draudimas success cases. He holds the three highest level certifications in the field from the Scrum Alliance: CST (Certified Scrum Trainer), CEC (Certified Enterprise Coach) and CAL Educator (Certified Agile Leadership Educator). Additionally, Angel is a co-active coach, specialist in team coaching and systemic leadership, Management 3.0 facilitator and DiSC Certified Behaviour and Motivation Analyst. 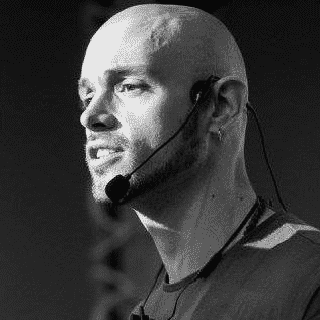 In addition to his work as an Agile Coach, Angel teaches video game production at ESNE (University of Design, Innovation and technology [Madrid]) and Design Thinking at LaSalle University [Barcelona]. He also has participated as a speaker in more than 50 international conferences and Agile events in Europe, Asia and the Americas, being a significant contributor to the international Agile community since 2009.
Business Agility is the new trend-topic in the Agile community lingo. For the international Agile community, is more than clear that is time to make Agile adoptions to progress and go beyond IT. As we are approaching the whole business, understanding strategic planning becomes critical for the Agile movement. In the Agile community we developed and shared advanced strategies to set goals but the question we need to answer now is “which goals to set”. We also understood that different players within the same organisation put emphasis on different business needs such as: standardisation, efficiency, experimentation or risk management. Often defining conflicting goals that frequently generate unnecessary friction and lead to a remarkable waste of energy and resources. Being Agile now means that all departments and final customers will feel the benefits of a new business approach. An integral understanding of organisations is needed to structure this change that goes beyond product development. Now that we are re-framing Agility, new questions arise: how does business Agility look like? what are the real benefits to the business? why should we care? how to make it happen? can we measure Business Agility? What’s the impact of Agile on Strategic planning? and even more, what’s next?. Angel will give his answer to all these questions from a systemic perspective using Integral theory and complexity thinking in the service of a pragmatic approach to business agility. This talk will help the audience to explore Agile beyond the “Dogma” and to understand how to drive a systemic evolution to take businesses to their next stage. Furthermore they will learn a simple and structured strategy to establish aligned organisational objectives and rise organisational contiousness to take the the system to the next stage.